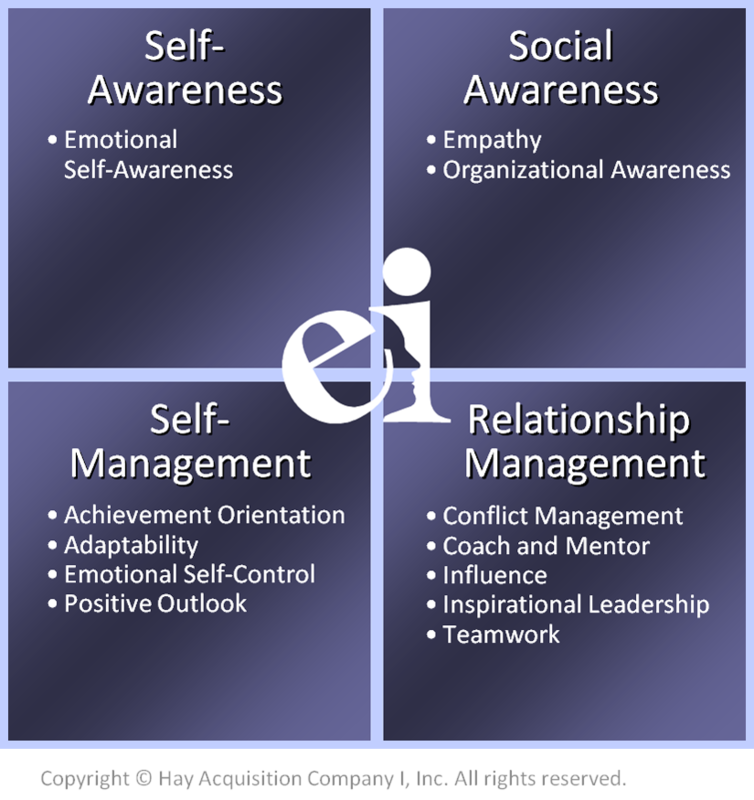 The Emotional and Social Competency Inventory (ESCI) is a scientifically-validated and reliable 360 tool that assesses your emotional intelligence. It is based on the seminal work of Dr. Richard Boyatzis and Dr. Daniel Goleman, and builds on the HayGroup's 35 years of competency research. The model includes 12 emotional competencies. The ESCI will give critical awareness on how people you interact with on a daily basis perceive you, both in how you manage yourself and how you manage your relationships. Once you know where you are at with regard to the 12 emotional competencies, you can start to develop a plan to enhance your emotional intelligence. For organizations, the ESCI is a development tool that can be used to provide feedback on an entire work unit or department, profiling its overall strengths and development needs. Pooling the individual assessments of an entire work unit provides a comprehensive profile of the organization's or the team's emotional intelligence. This Work Force Audit can reveal key emotional gaps that may be limiting performance effectiveness. Your employees receive a personalized report that gives those who are current leaders or who aspire to be leaders powerful insights in areas that they can develop to improve their performance. To order your ESCI, contact us. The EQ-i 2.0 is the next generation of the globally renowned EQ-i ® assessment. More than 1 million people, in over 65 countries have taken the EQ-i ®. 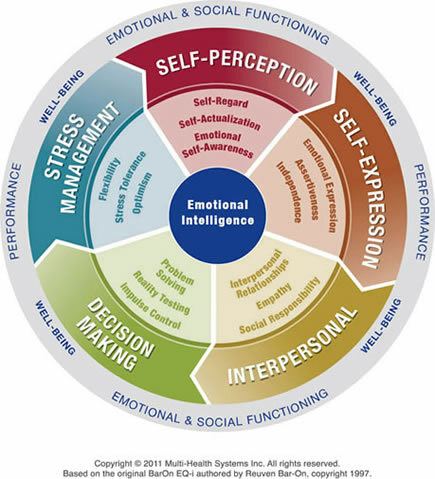 As you would expect from Clarion Enterprises Ltd., we have chosen to offer a scientifically validated and reliable emotional intelligence assessment, based on rigorous statistical analysis. The EQ-i 2.0 has been validated across age, gender & ethnicity. It consists of 133 questions that explore 16 elements of emotional well-being that have been proven to contribute to your success in both your professional and personal life. Self-Regard - Respecting oneself while understanding and accepting one's strenghts and weaknesses. Self-Regard is often associated with feelings of inner strength and self-confidence. Self-Actualization - Persistently trying to improve oneself and engage in the pursuit of personally relevant and meaningful objectives that lead to a rich and enjoyable life. Emotional Self-Awareness - Recognizing and understanding one's emotions. This includes the ability to differentiate between subtleties in one's own emotions while understanding the cause of these emotions and the impact that they have on thoughts and actions of oneself and others. Flexibility - Adapting emotions, thoughts and behaviors to unfamiliar, unpredictable, and dynamic circumstances or ideas. Optimism - Remaining hopeful and resilient, despite occasional setbacks. It is an indicator of one's positive attitude and outlook on life. Emotional Expression - Openly expressing one's feelings verbally and non-verbally. Assertiveness - Communicating feelings, beliefs and thoughts openly, and defending personal rights and values in a socially acceptable, non-offensive, and non-destructive manner. Independence - Being self directed and free from emotional dependency on others. Decision-making, planning, and daily tasks are completed autonomously. Problem Solving -Finding solutions to problems in situations where emotions are involved. Problem solving includes the ability to understand how emotions impact decision making. Reality Testing - Remaining objective by seeing things as they really are. This capacity involves recognizing when emotions or personal bias can cause one to be less objective. Impulse Control - Resisting or delaying an impulse, drive or temptation to act and involves avoiding rash behaviors and decision making. Interpersonal Relationships - Developing and maintaining mutually satisfying relationships that are characterized by trust and compassion. Empathy - Recognizing, understanding, and appreciating how other people feel. Empathy involves being able to articulate your understanding of another person's perspective and behaving in a way that respects others' feelings. Social Responsibility - Willingly contributing to society, to one's social groups, and generally to the welfare of others. Social Responsibility involves acting responsibly, having social consciousness, and showing concern for the greater community. To order your EQ-i 2.0 Workplace Report, contact us. It takes 20-30 minutes to complete the assessment on-line. You will receive your detailed, confidential EQ-i 2.0 report, which contains suggestions for raising your emotional intelligence. Provides 3 reports that are included in the cost of the single assessment: Student Summary Report; Student Comprehensive Report, and Counselor's Report.